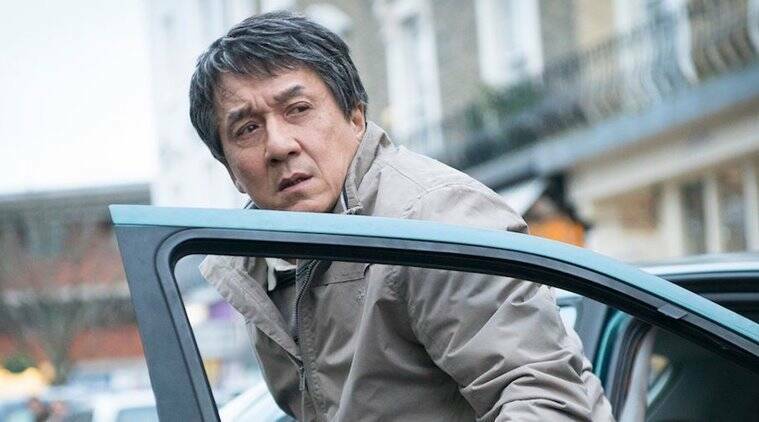 The Foreigner movie review: The Jackie Chan and Pierce Brosnan starrer trundles around between London, Dublin, bomb blasts, affairs and bedroom scenes. What is Jackie Chan doing in a film about the festering resentments in Northern Ireland, and a strained peace accord? Being a ‘Chinaman’. That’s all the courtesy The Foreigner accords to him, apart from a cursory backstory about daughters lost to Thai pirates, to adapt a novel called The Chinaman to the big screen. More simplistic than it should be but far more complicated than it need have been, The Foreigner trundles around between London, Dublin, bomb blasts, affairs and bedroom scenes, with the longest time spent showing how an ageing Jackie Chan can fashion an explosive out of almost anything. He is drawn into the Ireland fight after losing a third daughter, this time to a bomb blast claimed by a breakaway Irish militant group called ‘Authentic UDI’. Yes, that. Somehow, Quan (Chan), whose past conveniently reveals a secret ‘special forces’ stint, decides that he can extract revenge by going after a minister in the Irish government, for no obvious reasons. Greyed and limping, Quan does that by planting one bomb after another in that minister’s vicinity. The minister is played by Pierce Brosnan. Channeling an Irish accent and twang, this ageing actor fares much better than Chan, sporting tattoos, tweeds and sweaters, amidst a lush farmhouse and whiskey. He’s also called Hennessey.